Can exercise help you learn better? Kids from across the UK have been helping to find out if exercise can help them learn better. 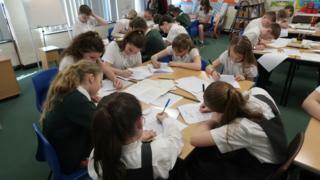 Over 1000 primary school children took part in an experiment as part of a project called 'Super Movers'. What is 'Super Movers' all about? Lots of TV and footy stars have been involved with the Super Movers project. The aim is to help kids at primary school move more by doing different routines and activities. It's being run by the BBC and Premier League. The aim was to find out if physical activity improves behaviour and learning in class...and it did! The study found that over three quarters of schools that took part noticed their pupils' brain function was better after physical activity. The children taking part were split in to two groups - one that did exercise and one that didn't. The first group did 50 minutes of activity, including circuit-style training and choreography, before carrying out a series of tasks. The researchers then compared how they did with those who hadn't done the same exercise. Being active also significantly improved their mood. Should there be more sport in schools?